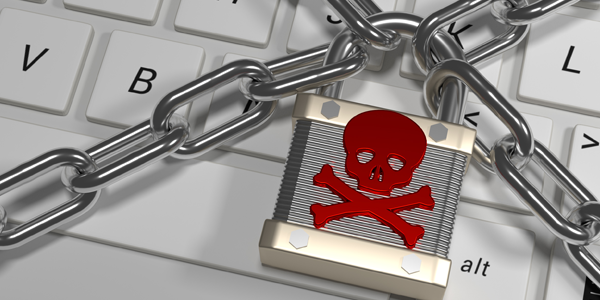 Ransomware Attacks Increase Tenfold: Are You Prepared? Data is the heartbeat of SMBs, and when that data is locked up, nothing paralyzes a company faster — and hackers know it. Last year, hackers broke into a hospital’s main system, locking down data and demanding $17,000 to get systems up and running again. They hit their payday, with the hospital handing over the ransom in the form of bitcoins. Ransomware attacks have increased tenfold in the past year, with costs that add up to over $200 million. And hackers aren’t just targeting large corporations — they are strategically striking SMBs with security vulnerabilities. So what can your business do to be prepared? Ransomware uses a couple of different approaches to strike SMBs. Hackers may send an email appearing to be from a known person, and they include an email attachment when they do so. When the attachment is opened, the organization is severely impacted. Hackers may also infect a legitimate website that affects your machine through the browser. Once infected, the machine brings malicious code to every file within its range. For example, a personal computer that is connected to a network may be affected; this ultimately spreads to the entire data center and locks down access to every stored file. There is no silver bullet to protect against ransomware, but taking a proactive approach can greatly minimize your risk for attack. Here are a couple of tips to consider. Educate your staff. Train employees to recognize the techniques that ransomware uses to wreak havoc on your business. Teach them to avoid “click bait” and to not open attachments from people they don’t know. In fact, they should even be careful about opening attachments from people who they do know. Create a robust backup process. When ransomware takes hold, an SMB has three options. It can restore the backup, pay the ransom or lose the data. Since that third option is clearly off the table, the best option is to have a reliable backup solution in place. Ensure the backup process is working in real time, so you can simply roll your system back a few days prior to the infection and restore local and server-based apps. However, make sure the ransomware is completely removed prior to restoring backup, otherwise it can encrypt your backup files.